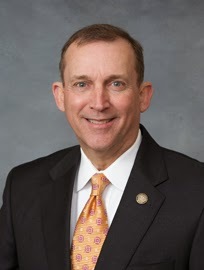 Senator Harry Brown of Jones and Onslow counties is going to propose a redistribution of sales taxes statewide that suggests he was paying attention to how former Watauga County Commission Chair Nathan Miller punished the Town of Boone, which he hated. Harry Brown told Mark Binker of WRAL that he thought it was unfair that urban counties like Wake raised a lot of money in sales taxes while rural counties, like the ones he represents, don't raise a lot of money in sales taxes. Therefore, Senator Brown said, the General Assembly should take from the wealthy and give to the poor. "...Wealthier counties are getting wealthier, and the poorer counties are getting poorer," Brown told Binker, as though he'd just stumbled on an amazing revelation. Gosh, Senator. Welcome to Republican economics! Isn't this what you guys have always been striving for? We're certainly in favor of bringing jobs back to rural areas and for making sure that schools are as equipped to educate children in Jones County as they are in Wake County. But once again crippling economic development in the state's cities so that rural areas are better off is not the way to go. The politics of envy ain't the path to prosperity. Wait a tick Jerry, isn't this that whole redistribution thing I keep being told is a terrible horrible no good thing that liberals only do when they want to play the class warfare card? Well if nothing else I guess it's nice to see the GOP being consistent with the rank hypocrisy they display in every issue?